The innovative golfing simulator 100ft Robot Golf is adding new DLC next month for PSVR. 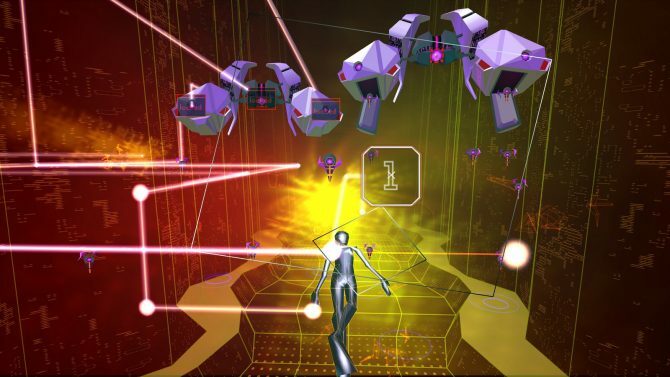 Recently, Sony announced that new DLC for 100ft Robot Golf is coming to the PlayStation VR. The upcoming expansion, Kaiju Driving Range will be available on September 12th. 100ft Robot Golf: Kaiju Driving Range will allow a robot golfing player on your TV to challenge a PlayStation VR-controlled Kaiju player, simultaneously. The robot’s goal is to perform trick shots at the NGBL Driving Range. Players will be able to intervene the robot golfer’s attempts by using their PlayStation Move-controlled Kaiju Pincers as well as the surrounding skyscrapers. 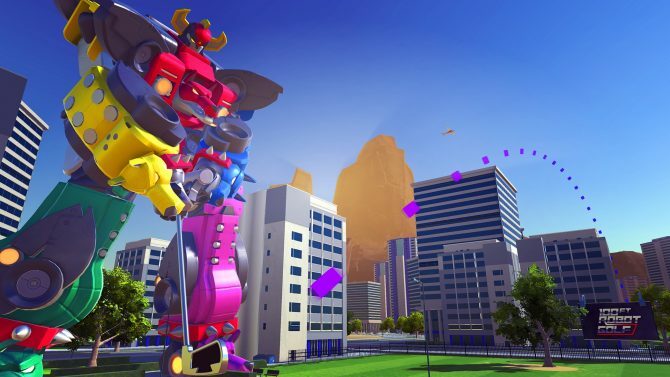 100ft Robot Golf is a real-time golf simulator developed and published by No Goblin. 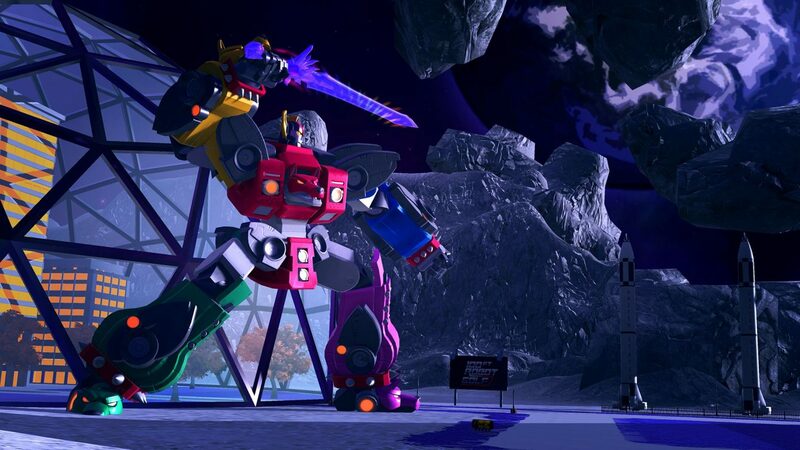 Released last October, players control massive robots on their quest to become the ultimate golfer. The game offers a single-player campaign mode, including low-budget 90s-inspired animations featuring stories and experiences of the in-game mech pilots ranging from excitement, romance, and thrills. In addition to a single-player mode, a multiplayer mode that can be played online or offline is also available. Up to four players that can compete on various courses ranging from greens, cities, mountains as well as orbiting moons. 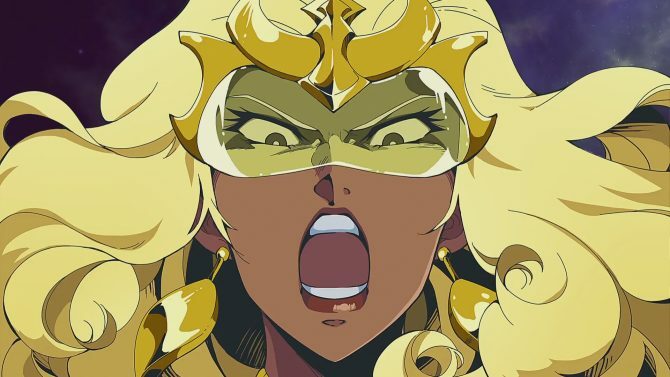 You can check out the launch trailer below this article. 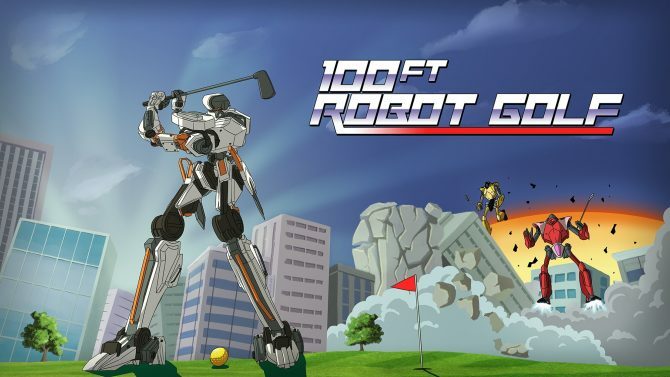 100ft Robot Golf is available on PlayStation 4 (with PlayStation VR) and Steam for $19.99.